Heat three has just come to an end. The winner was Barry Hutchison, who galloped to victory with his up and coming book cover for 'The 13th Horseman'. This cover received 136 votes which makes it another fine winner and therefore, finds itself in the final. For any new or existing follower of this site this is the chance for you to become part of the weekly book cover wars. Each week (for the next 1 week) I am going to select four book covers for you to vote from. 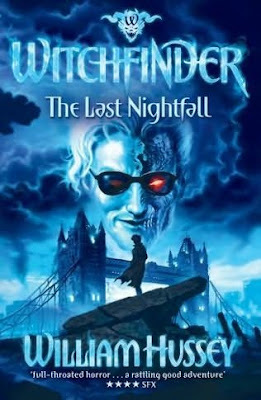 The winner of each heat will then go forward to the final round and get a chance to be crowned as 'Mr Ripley's Enchanted Book Cover Winner 2011'. The book competition winner from last week has been picked and has won a signed copy of David Walliams - Mr Stink. The lucky winner is Jo Ann at bkfaerie - the book is on its way to you. Hope you enjoy reading it. In order to kick off the competition this week we have yet another amazing book prize. This week is a book everyone is after - a proof copy of The 13th Horseman by Barry Hutchison. A great prize that will enable you the chance to read this book nice and early. Happy voting and let the best book cover win. Definitely Witchfinder! David Wyatt at his very best ! 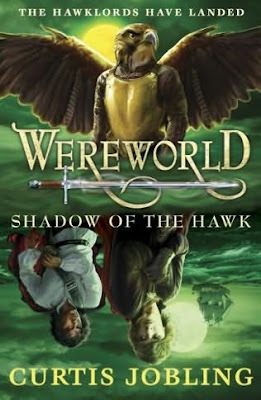 I like the Wereworld cover! Mesmerising. Difficult to choose just one of the four as the best cover , but I went for Wereworld . 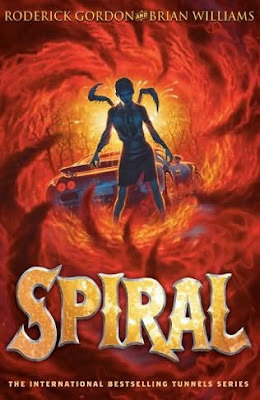 Spiral looks amazing - David Wyatt designed all the Tunnles series. Spiral for me - feels like you're getting sucked into the cover! 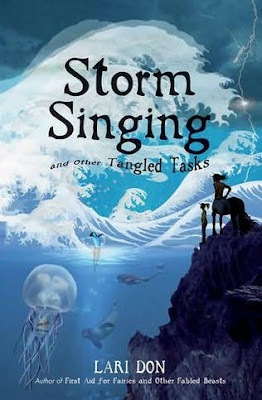 I actually went with Storm Singing but it was by a whisper - very hard to call this one! I went for the Storm Singing on this one. I find it enchanting. The others didn't do it for me this time. Wow. Very difficult, not just because all the covers are great, but because I know three of the authors. Now I know how poor Curtis Jobling felt last week. I will consider my vote carefully. And hey, what a fantastic prize! What happens if I win? Gosh what a hard one to call - gave it to Spiral in the end! You've hit the nail on the head with "Poor Curtis" there B - if you vote for Wereworld I'll be able to relocate my family from the hole in the ground (covered in tarpaulin) to a shoebox in't middle't road! Spiral gets my vote. Definitely. Shadow of the Hawk is awesome! Wereworld, love this. captures my interest!! This was a tough decision as they are all so amazing! Had to go for Spiral because I love all the other covers in the series. Sorry Mr Jobling, but I just had to give it to Storm Singing! Wereworld does it for me! Witchfinder! Gives it that midnight apocalyptic London look!!! Stormsinging - not the creepiest but certainly the most enchanting. I like the Wereworld cover! It's Wereworld for me! Great use of the green tones! Gives you a great sense of the outdoors and it's mysteries! Wereworld for me! The great green tonal use gives off a great sense of the outdoors and it's mysteries!! Love the Wereworld cover, amazing!